We were very excited about the Xpress RC brand being revamped earlier this year. Well after all the wait they have got their first release ready to come to market. The Expresso K1 is a 170mm wheelbase 'Kei'-class chassis. So smaller than the popular M-Series by 40mm. This will allow you to fit popular Tamiya wheelie shells such as the Jimny, VW Type2 (T1) and the Toyota LC40. This funky little car still has 1/10 electrics so the designers had to think out of the box to ensure that everything would fit. One of the clever features that they have done is to fit the front steering servo inline with the steering arms to help everything fit. 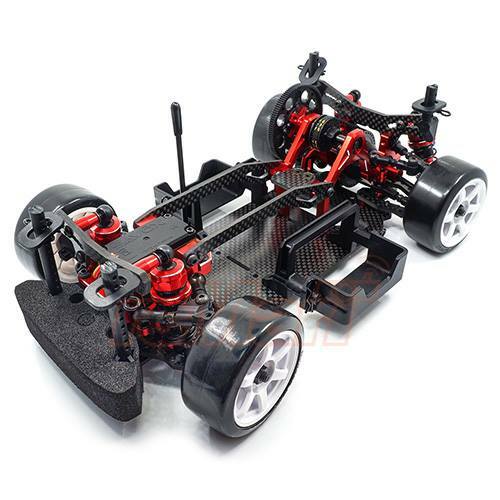 The car has a lot of high end features such as carbon chassis, aluminium adjustable shocks and bulkheads. 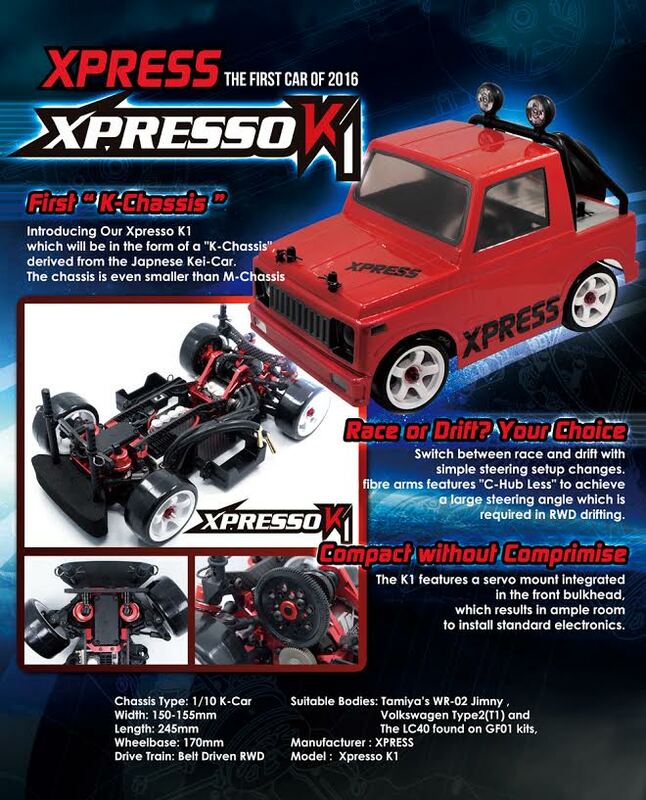 Also the Xpresso K1 comes with drift and touring options in the same box. So an interesting release. We are trying to line up a review. Here is the marketing sheet. Check out http://www.rc-xpress.com/ for more info.